Avengers assemble! 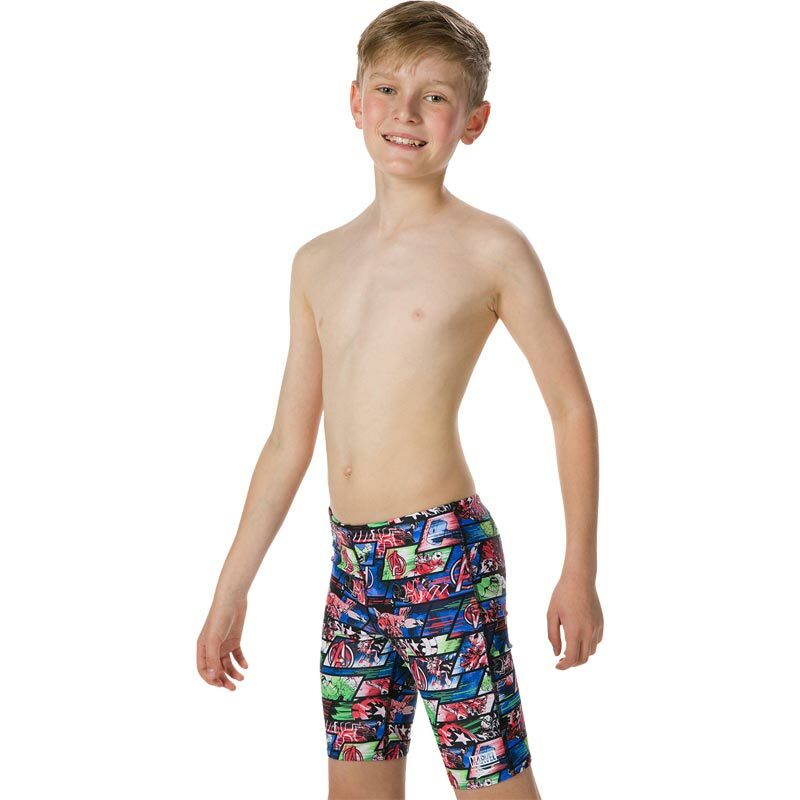 The Speedo ® Avengers Allover Jammer is a jammer young swimmers will love training and competing in. 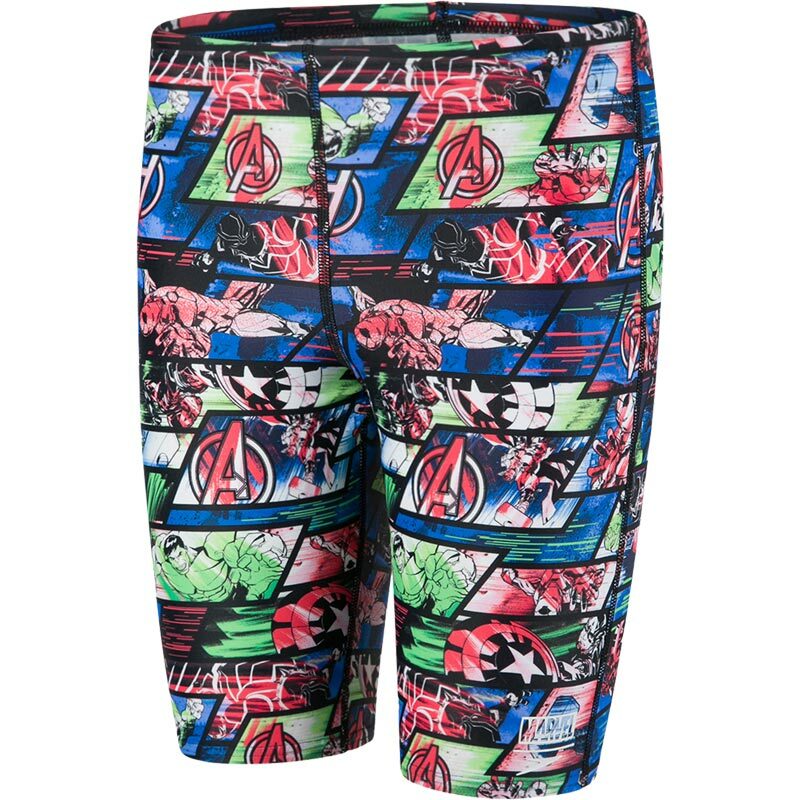 Featuring an all-over Avengers design they offer a comfy and secure fit, internal drawcord and are made from soft, shape-retaining Endurance 10 fabric. 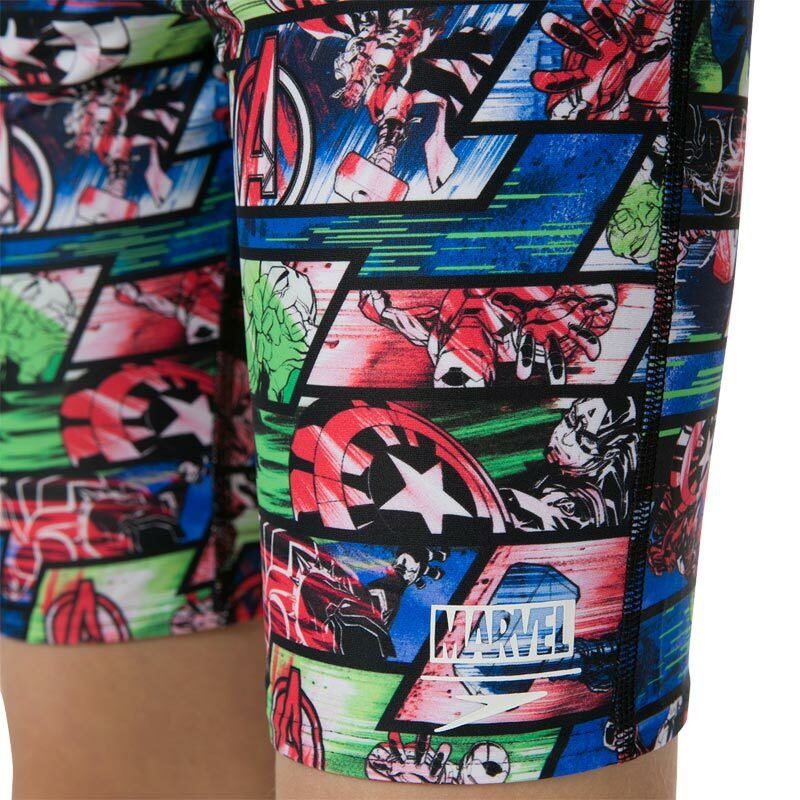 Dive in to action in the Avengers all over jammer. Internal drawcord for a secure fit and allowing you to adjust the fit. Front lining provides added comfort and modesty. Fabric stretches with a swimmer every move without feeling restricted.